Becca is a brand I have seen featured on many USA/Canada based beauty blogs (also on some UK blogs) and I have heard good things about them especially the Becca Ever Matte Primer but the price range always scared me. When I checked online and saw the price range of almost £30, I was like Hell to the No. Then one day back in January, I saw that Fragrance Direct was having a Becca Sales and this primer amongst other products was on sale. I quickly placed an order and crossed my fingers hoping for the best. I quite like the packaging as it looks expensive (which it is when it's full price) and I was just lucky to get it in sales. It’s a basic tube but it contains 40 ml of product which is very handy to know because it has lasted me a long while. I bought this since January and I am still using it even till the end of March. 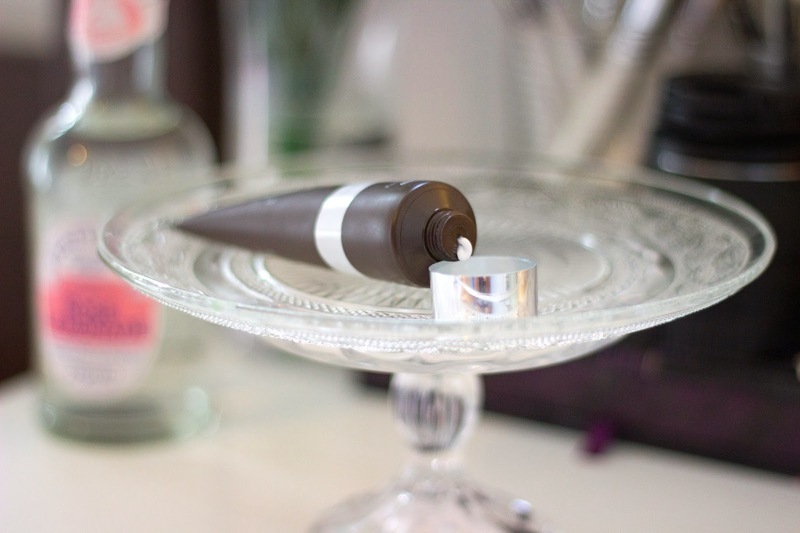 It dispenses a good amount of the product with a gentle squeeze although if you are not careful, you may get more product than u want and there is no way to get it back into the tube. 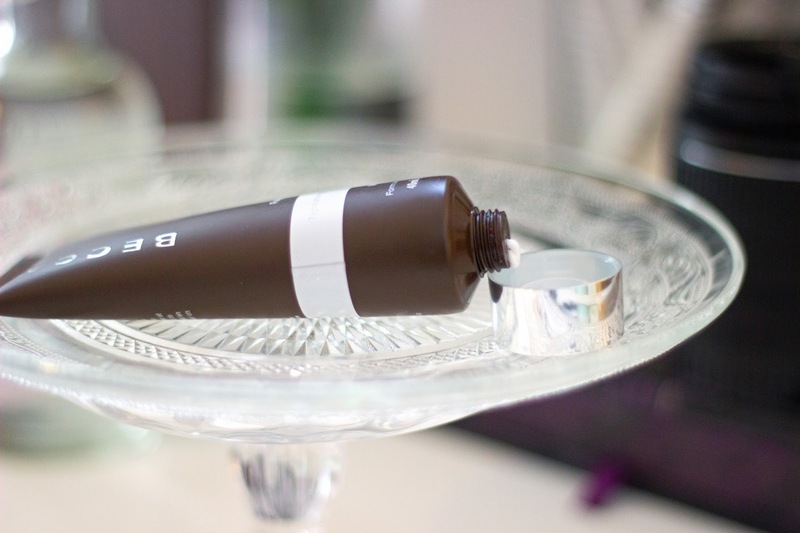 According to Becca, this primer is a nourishing and lightweight primer which has an instant tightening effect on the skin and works to continually improve the appearance of wrinkles and fine lines. I did not notice any tightening on my skin and I was not looking for that when I purchased it; all I wanted was a primer to help my makeup last longer and prevent my T-Zones from getting shiny at the end of the day. I am fully aware this primer is better aimed for older ladies but this was the only one available and I just had to get it. I originally wanted the elusive Becca Ever Matte Priming Perfector which was already sold out by the time I got on the site so I settled for this one which in my opinion may be equally good. 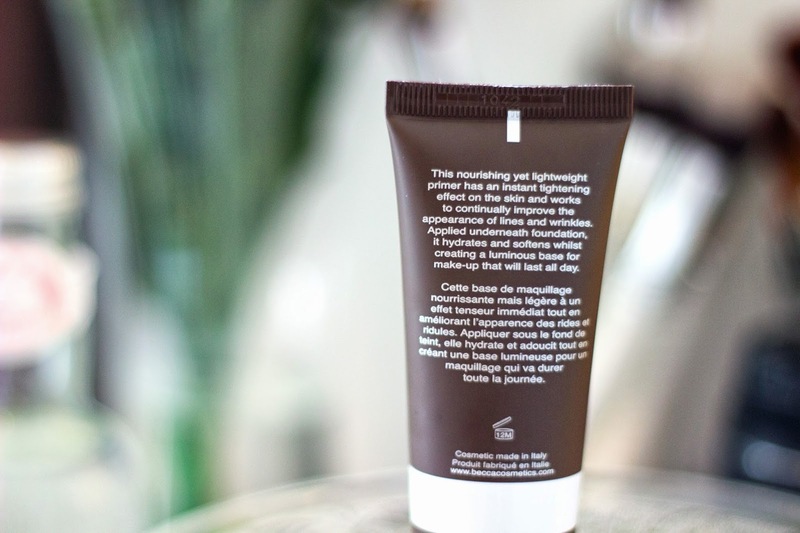 Becca also points out that it hydrates and softens the skin while creating a luminous base for your makeup and ensures it lasts all day which is actually the reason I purchased it. I apply it right after my moisturiser with SPF and it acts like a barrier between my foundation and my skin. It just dispenses a pea sized amount and dot it all over my T-Zone (notorious for being shiny during the day) and around my cheeks and then I just pat it all over my face and that’s it. I apply my foundation and I am done. It really helps application of my foundation go on smoothly without any dryness or unevenness. It is silicone free so it does not have that silicon-y feeling but it has a really light texture and your skin really does feel hydrated once you apply it which is a massive plus for the skin. It’s so funny how you can almost disregard a product because it did not work out for you the first time and that was the case with this primer which is why I am writing this review up almost 2 months after purchasing this. I had read a few reviews of how effective the Becca Primer was which is why I expected a very dramatic result but that was not the case. It just seemed ordinary for me (especially after using the Benefit Porefessional Primer for a long time which is one of my favourite primers). I got another primer and I stopped using the Becca one and then it hit me. OMG, I was so shocked at the difference and I had to run back to my beloved Becca which is why I am lovingly writing this post up. I have always used good-ish primers so it's easy for me to take it for granted that my makeup should last all day. 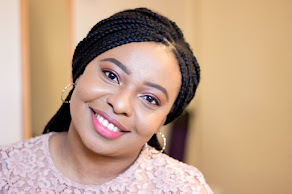 However, when I tried that different primer, I got so oily and my makeup was slipping with its longevity reduced, I realised that not all primers are created equal. The Becca Primer ensures my makeup is intact and my T-zones are not very oily. It’s really wonderful and you may not notice a massive difference until you try other dodgy primers. 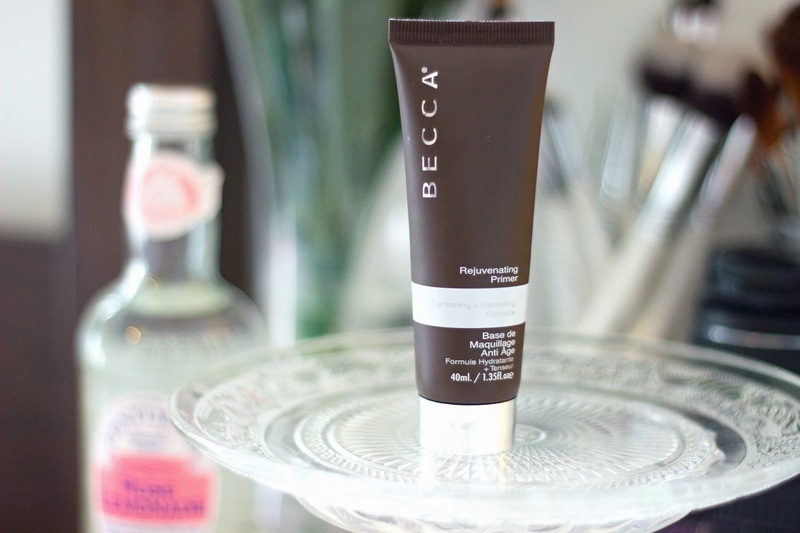 I can't say my T-Zones are completely shine free and matte but their end-of-the-day shine has been drastically reduced with the use of this primer (maybe the ever matte Becca version would be the miracle primer; I would never know due to its cost). I am still on the hunt for the primer that would keep my T-Zones matte and if you are out there, make yourself known and be affordable as well :-). 1.Its full price is quite expensive.